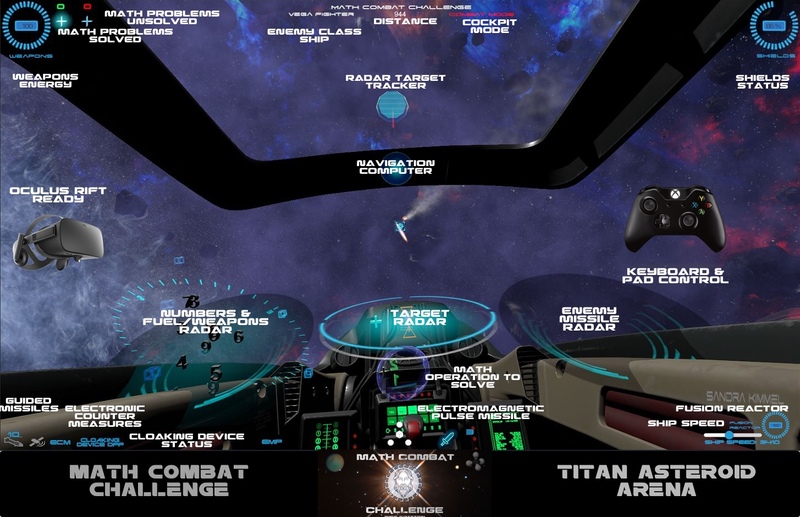 This is the cockpit in combat mode for the Titan Asteroid Arena. In this mode the radar tracks enemy fighters and other ships, and weapons are completely active, even the Electromagnetic Pulse Missile (EMP). Math Combat Challenge will be compatible with keyboard & mouse, console pads, TrackIR, and Oculus Rift.